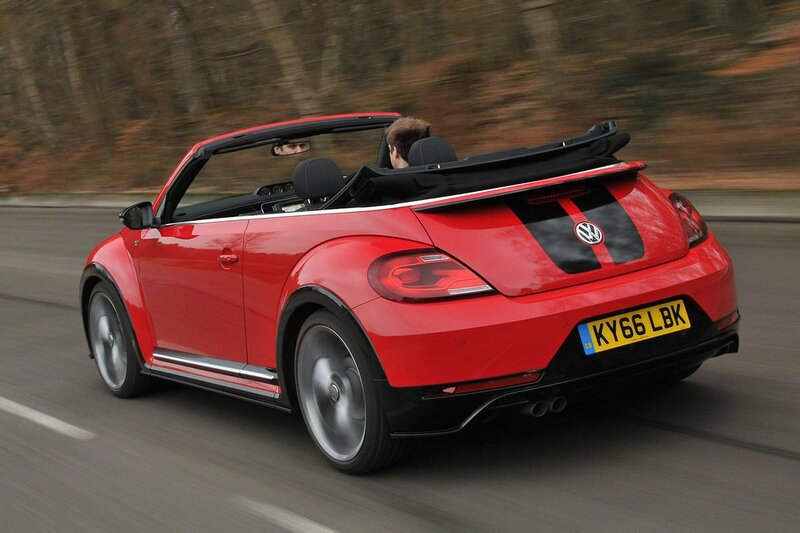 Volkswagen Beetle Cabriolet Boot Space, Size, Seats | What Car? There’s room up front for a couple of tall adults, but those in the back will want to be somewhere else. You can only carry two rear passengers (as with most of the Beetle’s rivals, apart from the DS 3 Cab), and they’ll find the seat backs uncomfortably upright, while head room is limited thanks to the classic arching roofline, and leg room is very tight, too. Surprisingly, even though the Mini is a smaller car it’s better for rear passengers. 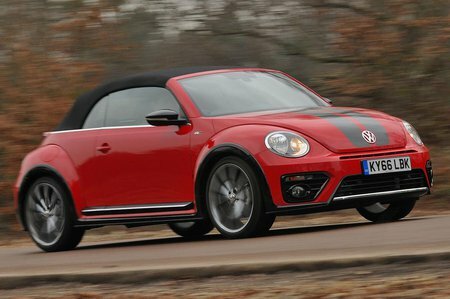 It’s tricky to get in and out of the back seats of the Beetle, but no more so than with most alternative soft-tops, and the seats have a memory function so they return to their original position. Boot space in the Beetle is pretty good. 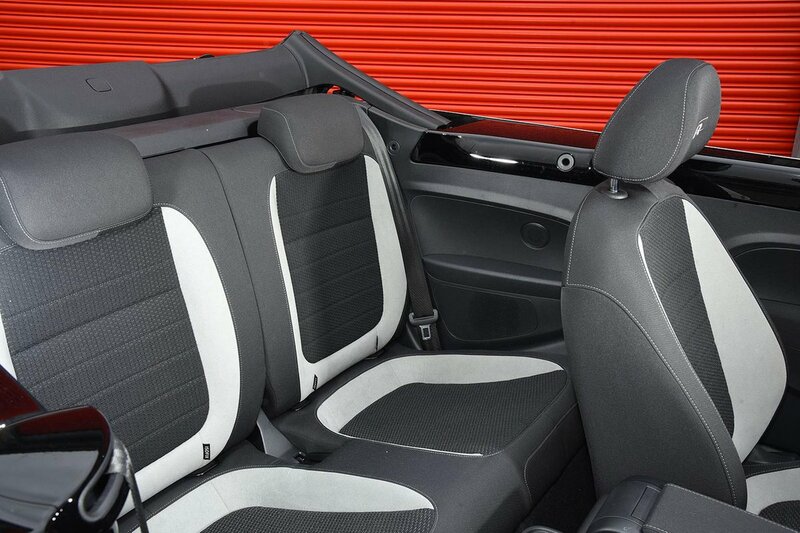 There’s usefully more of it than in the Mini, and dropping the roof doesn’t mean sacrificing any of that space. You’ll get a couple of cabin bags in there, or even the occasional longer item if you drop the 50/50 split rear seatbacks, although the letterbox-shaped boot aperture and narrow opening through into the cabin over the sloped seats backs means that this is still anything but a practical car.